For garage door replacement services that are second to none in Murfreesboro, Tennessee, turn to the experts at 31-W Insulation. Founded in 1972, 31-W Insulation has a long history of helping homeowners with a wide range of home improvement needs. When you turn to us to install a new garage door, you can expect exceptional customer service, a selection of top-of-the-line products, and professional installation services. Top-notch products – Our garage doors come from Amarr®, a leading manufacturer of garage doors that are built with durability, energy efficiency, and safety in mind. 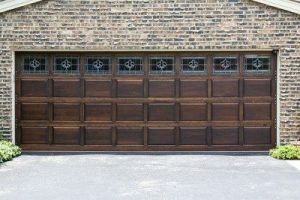 Many customization options – You’ll be able to choose from several different styles of garage doors as well as many different colors, woodgrain finishes, and window design options so your door can perfectly match the architecture of your home. Expert installation services – At 31-W Insulation, only our own fully trained employees – never subcontractors – will complete the installation, ensuring our high standards of workmanship are upheld and your new garage door looks great and functions flawlessly. Whether your current garage door is damaged, not working properly, or creating an eyesore, you can count on 31-W Insulation to replace it for you. To learn more about the garage door replacement services we offer in and around Murfreesboro, TN, contact 31-W Insulation today.